Gothic chasuble made from a lightweight, breathable fabric. Decorated with a high definition, permanent photographic transfer printed using advanced technology of transferring a picture onto flowing fabric. 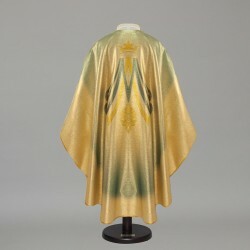 Finished with an elegant edge and supplied with a matching stole.